The Silk Road was a network of trade routes that for centuries played a central role in facilitating cultural and commercial interaction across Eurasia. The terrestrial and maritime routes of the Silk Road connected Asia and Europe, the East and West, stretching from the Korean peninsula and Japan to the Mediterranean Sea. The Afghan cities of Kabul, Balkh, Herat, Kandahar, and Bamyan constituted some of the key ancient cities through which the Silk Road passed. Trade via the Silk Road helped develop the civilizations of China, Korea, Japan, the Indian subcontinent, Persia, Europe, the Horn of Africa, and Arabia. It opened long-distance political and economic relations between these civilizations. Although silk was certainly the major trade item exported from China, many other goods were also traded. And through the commerce that underpinned much human interaction and communication, religions, syncretic philosophies, and various technologies were transferred from region to region along the Silk Road. One of the key ancient Silk Road cities, Kabul is said to be over 3,500 years old. The city sits strategically along the trade routes of South and Central Asia and played a pivotal role in facilitating commercial and cultural interaction and exchanges between the South and North civilizations. But at no time in its long history was Kabul as isolated and disconnected from its commercial past as during the years when the Taliban tyrannically ruled Afghanistan. When this evil force was eventually toppled in 2001, following the tragedy of 9/11, Kabul reemerged as the center of international cooperation and partnership. Today, Kabul is home to military personnel and diplomats from more than 40 nations, standing shoulder-to-shoulder with the Afghan people to help them stabilize, rebuild, and develop their country on a sustainable basis. Naturally, therefore, a large number of domestic and international businesses have converged in Kabul, forging joint ventures to implement major logistics, construction, agriculture-agribusiness, mining, and infrastructure projects under contract with the Afghan government and international development aid agencies. Moreover, the process of state-building across Afghanistan continues to be administered in and from Kabul, which now boasts one of the largest populations (over 4 million) across the region. This situation involves peculiar challenges, which potentially offer opportunities for structural reform, business development, and investment. That is why the Kabul Municipality welcomed last year the announcement by the World Citizens Organization (WCO) and members of the Silk Road Mayors Forum (SRMF) in Qazvin-Iran that they would hold the next SRMF in Kabul on October 20, 2017. The Kabul Municipality looks forward to hosting the Forum, which would foremost entail a substantive discussion and exchange of views by the participating Silk Road mayors. 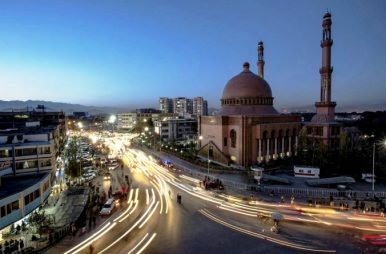 As a post-war city with a long history and location of immense multifaceted connectivity importance, Kabul Municipality is eager to learn from and build long-lasting partnerships with its counterparts in the region and beyond. In addition to building confidence with its counterparts, the Forum should enable Kabul Municipality to seek institutional capacity-building support in areas of urban planning and development that meets international standards. Currently, Kabul lacks some of the most basic urban infrastructure elements such as canalization, a sustainable sewage system, well-paved roads, green parks, and public facilities that collectively ensure and protect a clean environment for Kabul residents. Moreover, Kabul Municipality is already working with a number of relevant institutions to organize cultural events on the sidelines of the Forum, further reviving a sense of common Silk Road identity among participants and those that support the current Silk Road cultural initiatives, such as the restoration of the statutes of Buddha in Bamyan, which were dynamited to pieces under the Taliban in March 2001. And above all, the Forum will provide the participants with an excellent networking opportunity, which Kabul Municipality plans to facilitate. This should enable the municipality to promote business and investment in Afghanistan’s virgin markets with exceptionally high profit margins: agriculture, mining, manufacturing, services, construction, and energy. At the same time, potential investors should also learn about the firm commitment of Afghan leadership to private sector development and its importance to helping Afghanistan achieve economic self-reliance on the long run. Kabul residents strongly support their Municipality and its much-needed initiatives, and are looking forward to welcoming to Kabul officials from the Silk Road nations. Kabulis, including this author, are proud of their historical tradition of commerce and cultural exchange, dating back 2000 years, to the era of the Silk Road. With each economic opportunity that is fulfilled, they move one step closer to reconnecting with their heritage and securing a good future for Afghanistan. The Silk Road mayors and investors can play a major role in helping them fulfill this national destiny. President Ashraf Ghani hosted the Silk Road Mayors Forum in Kabul.